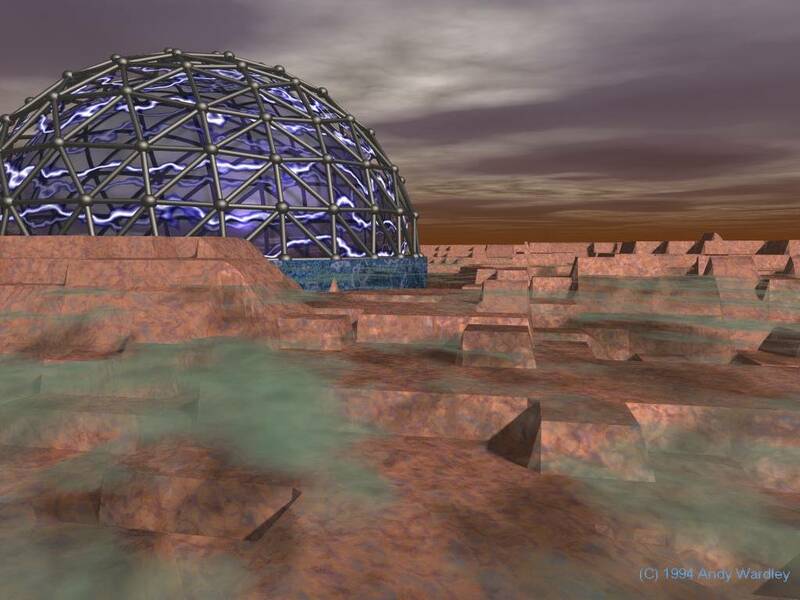 A Geodesic Dome is a type of structure shaped like a piece of a sphere or a ball. This structure is comprised of a complex network of triangles that form a roughly spherical surface. The more complex the network of triangles, the more closely the dome approximates the shape of a true sphere. 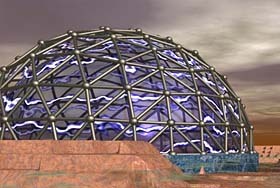 The dome is a structure with the highest ratio of enclosed area to external surface area, and in which all structural members are equal contributors to the whole. There are many sizes of triangles in a geodesic, depending on the frequency of subdivision of the underlying spherical polyhedron. The cross section of a geodesic approximates a great-circle line. For more information, read the texts and links at the short page about Buckminster Fuller (Bucky).